This evaluation, based on the issues listed in this report, includes both chambers, but no one was found in the Senate to be worthy to be included. In order save space the names of those not voting or voting in the minority are listed and all others are presumed to have voted the other way. Doubtless there is more to be mentioned for the regular session of 2012, but these issues will suffice to evaluate some of our top legislators. I welcome any information on other bills that should have been included. Many good bills failed to gain passage this session. However, the spousal adultery bill, S.B. 51, dealing with the issue of spousal support in cases of adultery, would give the court the opportunity to reconsider and deny such support in cases where one spouse has produced an illegitimate child. The bill is written in such a way that it would apply to adultery on the part of either spouse although its practical application would be with a man whose wife has produced a child by another man through adultery. DNA evidence would be required. That 6 members of the House would vote against this bill shows how lacking in any sense of ordinary justice these people have toward the citizens they represent. In the House Brown, Cowles, Fleischauer, Frazier, Howell, and Mahan voted No with Carmichael and Givens being absent. In the Senate the vote was 34-0 in favor. H.B. 2657, the Religious Freedom Restoration Act passed the House on a 92-2 vote with only Doyle and Wells voting NO and 6 not voting:Barker, Brown, Fleischauer, Fragale, Nelson, Walters. A U.S. Supreme Court had weakened protections against government burdens on religious expression and this bill is an attempt to correct the situation by strengthening those protections. The bill never made it in the Senate where it was killed and replaced with a resolution, SCR 84, which will order a study on the issue. This was passed and we will await the results later this year. The Ball Park Wine Bill, H.B. 4376, will allow wine to be sold at professional baseball stadiums. Anyone who has had the opportunity to talk to the thousands of drunken tailgaters at a WVU football game can understand the unpleasant situation that will be created for families who just want to go to a ball game with their children without dealing with the drunks. The bill passed the Senate 30-3 with Barnes, Boley and Nohe voting NO and Green not voting. In the House it was 79-19 with Armstead, Azinger, Border, Evans, Frazier, Hamilton, Howell, Ireland, Kump, C. Miller, J. Miller, Moye, Overington, Perry, Romine, Rowan, Snuffer, Sobonya, and Sumner voting NO while Iaquanta, and Givens not voting. The Pre-Marital Education Bill, H.B. 4605, will raise marriage license fees to $55 for those who do not take a worthless pre-marriage course lasting 4 hours. The bill requires that the course be “skills based” and “research based,” effectively eliminating anyone who might want a Bible based course. 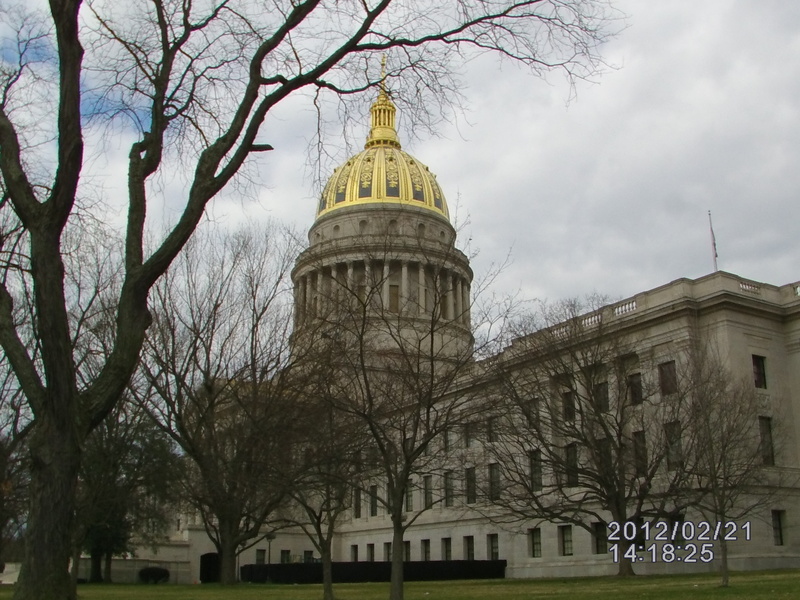 The Legislature never shows any concern about the growing number couples who are shacked-up or about adultery, all of which are legal in West Virginia. Their answer to the problem is to charge couples who don’t go along with the program more money. The Senate voted 29-5 in favor with Barnes, K. Facemyer, Miller, Sypolt and Williams voting NO. The House voted 77-21 in favor with Anderson, Andes, Armstead, Border, Brown, Cann, Carmichael, Cowles, Gearheart, Hatfield, Householder, Howell, Ireland, Kump, Martin, Nelson, Savilla, Sigler, Sobonya, Sumner, Walters voting NO. Not voting were Perry and M. Poling. Both chambers passed H.B. 4097 which adds Hairstyling to the growing list of trades that require a professional license. The Senate passed the measure 34-0 while the House voted 86-12 in favor with Andes, Azinger, Ellem, Ellington, Evans, Gearheart, Hamilton, Ireland, Lane, Savilla, Sigler, Walters voting NO and T. Campbell and Hartman not voting. Meanwhile, both chambers approved H.B. 4001 allowing professional Licensing boards to establish (read increase) fees by rule. It mandates no discrimination on the basis of “other protected group status” without defining what are the protected groups. It requires a social security number on the application even though federal law does not require anyone to obtain a social security number. The small number of people who decline to obtain a social security number as a matter of principle would now be prohibited from working in their profession without one. The Senate approved the measure 34-4 with Barnes, Hall, Nohe, and Sypolt voting NO. In the House the vote was 64-24 with Anderson, Andes, Armstead, Ashley, Border, Carmichael, Cowles, Ellem, Ellington, Gearheart, Householder, Howell, Kump, Lane, C. Miller, J. Miller, Nelson, Overington, Pasdon, Rowan, Savilla, Sobonya, Sumner, Walters voting NO and Cann, Canterbury, Craig, Doyle, Evans, Givens, Hall, Manypenny, Michael, Morgan, L. Phillips, and Snuffer not voting. S.B. 108 which attempts to require Magistrates to have at least an associate degree to hold the office is another attempt by elitists to restrict public office to a select group who by virtue of attending a government-run educational institution are more likely to support the government in its attempts to undermine individual liberty. The bill died in the Senate on a rare vote of 15-19. Voting Yea were Barnes, K. Facemyer, Foster, Jenkins, Laird, McCabe, Palumbo, Plymale, Prezioso, Snyder, Stollings, Unger, Wells, Williams and Kessler. No absences were recorded. H.B. 4392, called the “Fat Possum” Bill, would establish magistrate salaries at a cool $57,500 across the board. Currently, counties with fewer than 8400 people per magistrate according to the last census receive a lower salary than those with more than 8400. With the last census some of the counties have dropped below 8400 and the magistrates in those counties, including Wetzel County, will receive a pay cut – thus the reason for H.B. 4392. The bill will make all future increases as part of a general increase of salaries and wages that is given to public employees. In the House the vote was 65 -30 with 5 not voting. The No votes were Anderson, Andes, Armstead, Azinger, Border, Carmichael, Duke, Ellington, Evans, Gearheart, Householder, Howell, Ireland, Kump, Lane, Martin, C. Miller, J. Miller, Nelson, O’Neal, Overington, Pasdon, Romine, Rowan, Savilla, Sigler, Snuffer, Sobonya, Storch, Sumner. Not voting were Brown, Givens, Walters, Craig, Hunt. S.B. 211, the Texting Bill, prohibits sending text or receiving text while driving. Drivers that do texting while driving are indeed creating a hazard on the road. However, the discovery of drivers engaging in texting will be very difficult to detect. In practice this law will mostly be yet another excuse for cops to pull people over and check out their paperwork in order to raise more revenue and impress their supervisor in order get promotions. Shake-down rackets run by municipalities such as Gauley Bridge will find this new law to be another tool to extract money from unfortunate travelers. In the House the vote was 86-13. Voting NO were Andes, Armstead, Border, Carmichael, Ellem, Gearheart, Ireland, Kump, Lane, Savilla, Sigler, Storch, Walters. Givens did NOT Vote. In the Senate the vote was 34-0 in favor. S.B. 139 the Primary Seat Belt bill would have created a primary seat belt law allowing drivers to be stopped only for not wearing a seat belt. Current law allows for citations only when the victim is pulled over for another reason and then found to be not wearing a seat belt. In the beginning, in the early 1990’s the Legislature started off with this limited version of the seat belt law. This is the typical strategy when unpopular laws are proposed. First, offer a limited, almost innocuous version of the law with small penalties. Then offer a more strict version, in this case, a primary seat belt law using very low penalties with no court fees as a selling point. Later, after the bill is passed, come back with a bill including added, substantial penalties. Fortunately, this bill failed to move in the House. In the Senate only Barnes, Nohe, Sypolt, and Boley voted against the bill with a 30-4 vote. The Commercial Dog Breeders bill , S.B. 406, would have established a license for commercial dog breeders. Exceptions include greyhound breeders – a necessary addition since the Governor’s family owns a commercial greyhound kennel. Fees for the license would range from $250-$500. The problem with stray dogs and mistreatment of dogs is not going to be solved by licensing dog breeders. The problem is rooted in irresponsible dog owners and that is where it must be addressed. This is just more bad legislation that accomplishes nothing. In the Senate the vote was 33-0 with Fanning being absent. Senate Bill 477, the Wild and Exotic Animal Bill, seeks to respond to the release of tigers in the state of Ohio by an owner. It created quite a stir in the news, so the Legislature needed to pass another bill. A list of wild, exotic, and domestic animals would be created and regulatory requirements established for those animals classified as wild or exotic by the DNR. Confiscation of the animals can take place at the whim of the DNR without due process of law and the animals kept by the DNR at the owners expense or possibly killed before the owner has time to make a legal case before any court. Recently, a Michigan farmer’s hogs were taken under a similar legal framework under the guise of being wild pigs. Animal owners with totally harmless exotic pets may be saddled with bothersome regulatory requirements and fees. Given the DNR’s tendency to being control-freaks, we will likely see abuses in West Virginia also. The Senate voted 29-5 in favor with Barnes, Boley, Hall, Nohe, and Sypolt voting No. The House voted 73-27 in favor with these delegates voting NO: Anderson, Andes, Border, Canterbury, Cowles, Craig, Gearheart, Householder, Howell, Kump, Lane, Marcum, C. Miller, J. Miller, Nelson, O’Neal, Pasdon, Reynolds, Rodighiero, Romine, Rowan, Savilla, Sigler, Snuffer, Sobonya, Sumner, Walters. It was a blank check to the DNR. The Railroad Scrap Metal bill, H.B. 4345, places restrictions on the sale of railroad scrap metal. In any civil controversy between a scrap purchaser and railroad, the purchaser would be required to keep the receipt. If it is lost or destroyed the railroad in question would be “presumed” to be the owner of the material. A fair trail in which the jury alone decides how much weight is to be given to the evidence is set aside with this presumption. This is a matter that should exclusively belong to the jury, not to the Legislature. The vote in the House was 95-0 in favor with Craig, Doyle, Givens, Rodighiero, and Swartzmiller not voting. In the Senate the vote was 33-0 with Green absent. The Restroom Access bill, Senate Bill 341, requires retail establishments to give anyone possessing a so-called ” medical alert restroom access card” access to their employee restroom when a public restroom is not available. Provision is made to eliminate most liability issues. While people of good will would allow the public to use the restroom in an emergency, there are good reasons why some do not and it is the exclusive right of the business proprietor to decide who may or may not use his property. The Senate passed the bill 34-0. S.B. 597 requires Carbon Monoxide detectors on all rental units, newly constructed homes, nursing homes, and on all buildings where the public has access and there is potential CO source. It also mandates that the CO detectors be plugged in to electric outlets that do not have switches. Fines for a third offense would be $2000 and a misdemeanor. This new law is just one more case of unnecessary interference in our lives. Anyone can buy themselves a detector fairly inexpensively. In the House the vote was 92-7 in favor with Andes, Cowles, Kump, Savilla, Sobonya, Walker, and Walters voting NO. Not voting was Givens. In the Senate the vote was a typical 34-0 unanimous, bipartisan agreement. With H.B.2533 certain members of the House, led by Delegate Talbott launched an attack on third party and independent candidates. These candidates, in order to appear on the general election ballot, must gather signatures in sufficient quantity to qualify. These petitions are NOT available to be viewed by the public. This bill would make them public documents and subjecting petition signers to possible public exposure as a way to embarrass them in the public eye. The effect would be to discourage people from signing. Many people will sign these petitions without knowing anything about the candidate because they believe in fair play in the election process. This bill could have a chilling effect on petitioning for ballot access. The House vote was 86-1 in favor with Kump voting NO and Cann, Carmicheal, Crosier, Ellem, Givens, Hunt, Longstreth, Micheal, Moye, M. Poling, Stephens, Swartsmiller not voting. H.B. 4015, the Minority Affairs Office bill, creates a minority affairs office for the purpose of promoting issues, policies, and for awarding grants for minority affairs. What exactly constitutes a minority is not defined in the bill. The bill’s unclear language is constructed so that the minority affairs office can involve itself in areas that are unforseen and perhaps controversial. It is likely that the office will be used to promote a leftist legislative agenda using taxpayer’s money. In the Senate the vote was 33-0 in favor with Karen Facemeyer being absent. In the House the vote was 87-10 with Andes, Ellington, Gearheart, Householder, Howell, Ireland, J. Miller, Overington, Savilla, and Sigler voting No with Longstreth, Perry, and M. Poling not voting. In conclusion, the overwhelming majority of West Virginia state legislators care little for the individual freedoms of ordinary West Virginians, but are eager to please the big boys with the money and influence. When one enters the State Capitol building one is entering an arena where ordinary West Virginians count for nothing. This also includes small business proprietors. There is a general contempt for property rights in favor of large business interests which was demonstrated in last year’s Marcellus Shale Bill. While many in the Legislature will give lip service to their supposed opposition to abortion, most of this is just talk. In reality, these people do what they want to do and that means leaving the abortion issue alone while talking the talk. There is little interest in making our lives less complicated by eliminating such things as the new requirement that forces residents to present 4 proofs of residency in order to renew a driver’s license. In the Senate there is usually total consensus on issue after issue. In the House only a minority can be found who have any concern for the freedoms and rights of the people of this State. All things continue as they have been.